Riding at speeds above forty miles an hour sure is fun, until you perilously fly over the bars and land on a piece of jagged rock or massive tree limb with body-crushing force. Avoid this not-so-happy ending to your day of downhill laps and bike park antics with the upgraded protection of the Dainese Rhyolite 2 Safety Jacket. 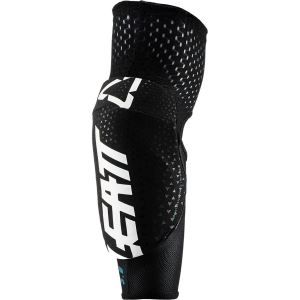 Not only is this upper body protector a great choice for high-speed downhill runs and bike park laps, but the sleeves are removable for greater comfort when temperatures skyrocket on summer days. 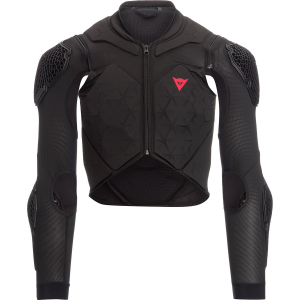 Representing the pinnacle of upper body protection in Dainese's line, the Rhyolite 2 Safety Jacket makes great use of nature-inspired fractal padding with its Pro Armour elbow and shoulder pads, combined with a Flexagon impact panel that wraps from your back to your chest. 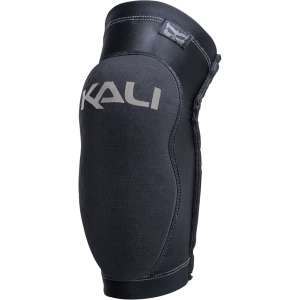 This uncompromising level of upper body protection disperses crushing blows to your elbows, shoulders, back, and chest, meaning you'll have a greater level of confidence on the trail, should things go horribly wrong. Furthermore, these upgraded padding zones are supplemented with crash-absorbing chest and rib pads made of soft memory foam for impact-absorbing resiliency.